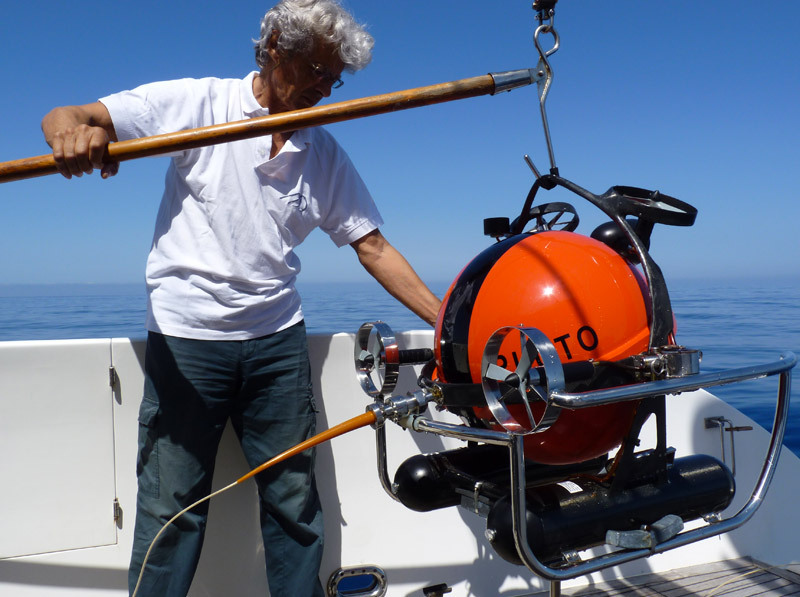 PLUTO PALLA is a small size ROV designed for deep scientific observations down to 2000 meters depths. 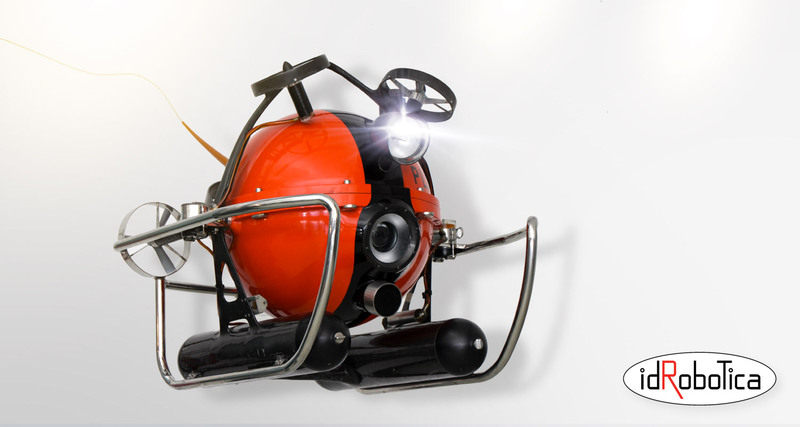 PLUTO PALLA is an “eyeball” shaped compact inspection ROV characterized by its compactness, lightweight and portability, making it deployable from any small craft of opportunity and suitable for scientific observation, ocean floor inspections and much more. The unique compact characteristics allow the entire system to be transported in the trunk of any mid-size car, embarked aboard any kind of a vessel and immediately deployable without the need of fixed on board installation. PLUTO PALLA grants unprecedented underwater scientific research possibilities and exceptional visual inspection capabilities. Easy launching of a small vehicle weighing only 60 kg. Fast dive (1000 m in 15 minutes) using disposable ballast. Inspection mode #1: vehicle hanging on the umbilical cable, yawing and moving horizontally by remote operated propulsion and adjusting depth by umbilical cable pay out or recovery. PLUTO PALLA includes 4 main items: the vehicle, the umbilical cable winch, the control console and the battery charger. The main body is a carbon fibre sphere 45 cm diameter housing all electronics. The sphere can be tilted up and down + – 90°. A high definition video camera, a still camera, a LED (high intensity floodlight) illumination lamp, navigation sonars, are all tilting at the same time. Two carbon fibre battery pods. Two horizontal and two vertical high efficiency thrusters, pressure compensated. Search and navigation sonar: 200kHz 8°beamwidth looking at the centre of the TV screen, ranges 120 m - 60 m - 30 m, fast A-scan display for navigation and possibility of generating 90°wide sector maps with true compass bearing references and distances. Responder for underwater positioning and tracking, 1000m slant range. Powered drum with 2000m of fibre optical cable, 3.5mm diameter, fibres reinforced to 200kg breaking strength and slightly floatable in sea water (an optional version with 4500m is available). Automatic control of pulling force adjustable from 0 to 12kg, control can be local or from the console. Metres counter of cable out. Voice communication station to and from console.